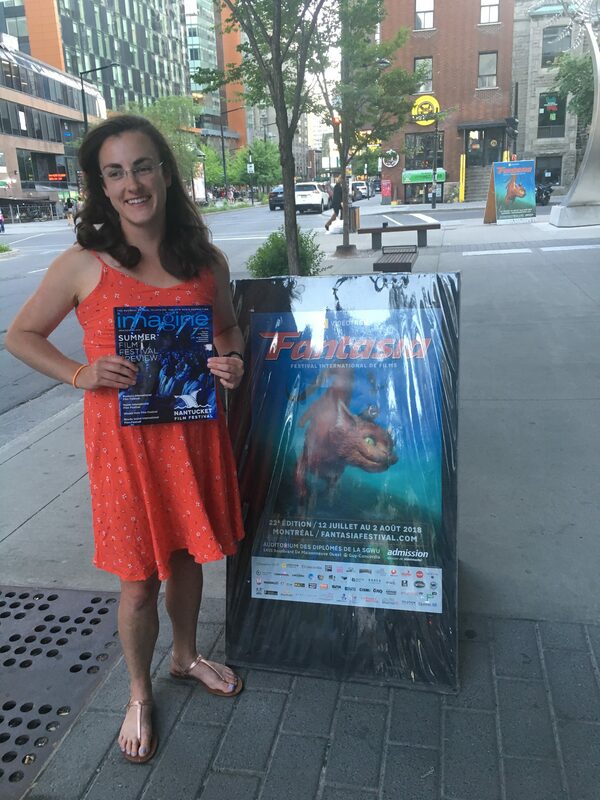 This summer I interned for Critter Casting, a start-up business that evaluates animals to determine if they are suitable to be cast in films, commercials and print advertisements. My Tufts education contributed to what I learned during my externship with Critter Casting by providing me with the skill set to assess animals for signs of stress. 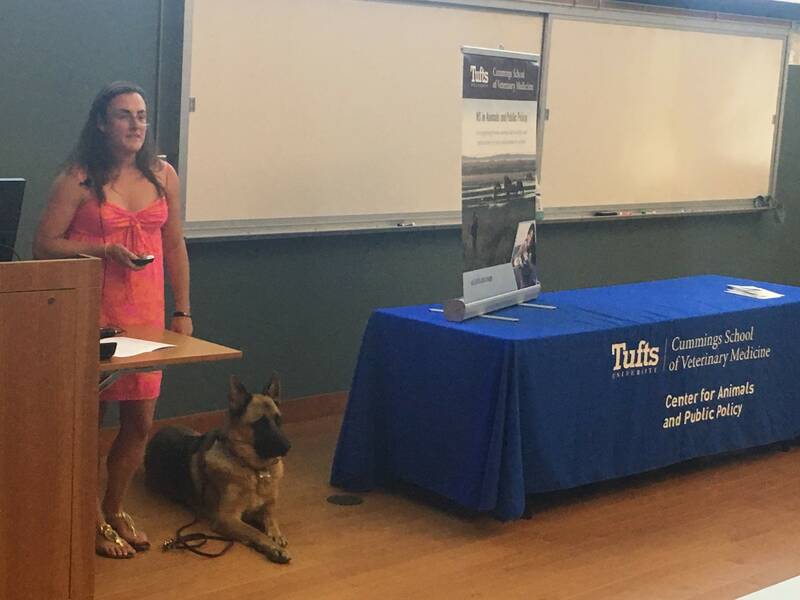 An elective I took at Tufts was volunteering for Paws for People therapy animal program. 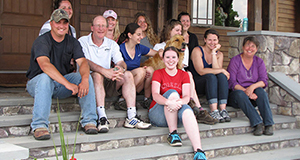 Paws for People taught me how to assess a variety of animals to determine if they are suitable for therapy work. 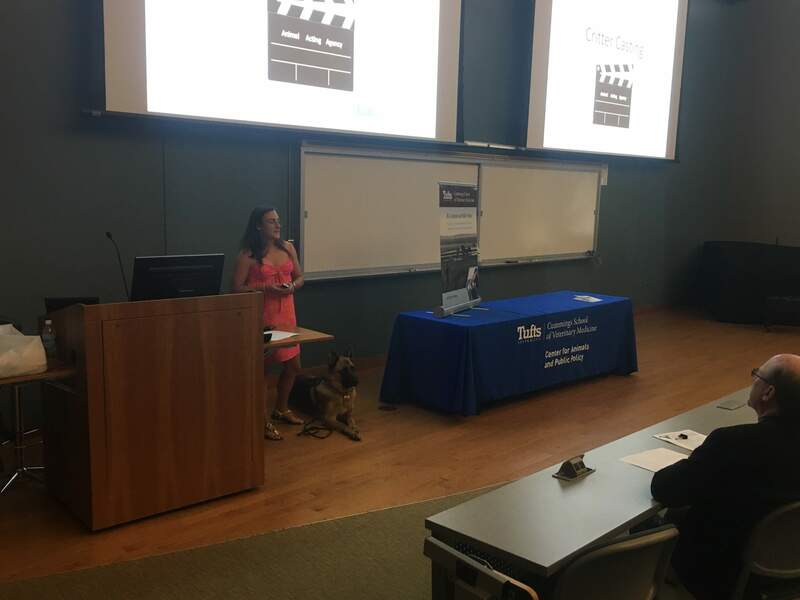 These evaluation skills contributed to my ability to assess animals used in the film industry. 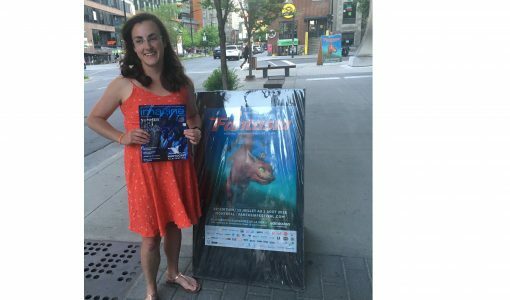 In addition to evaluating animals for film work, I attended the Fantasia International Film Festival in Montreal to network for Critter Casting and had an article I wrote about Critter Casting published in a film magazine that’s distributed nationwide.